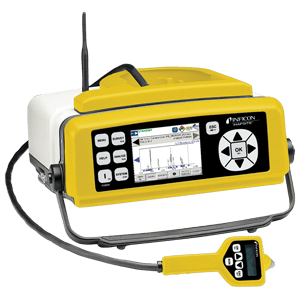 HAPSITE Smart Plus makes it even easier and faster for users to detect, identify and quantify toxic industrial chemicals (TICs) and chemical warfare agents (CWAs) right at the scene. It's the only person-portable gas chromatograph/mass spectrometer (GC/MS) that gives you lab-quality results within minutes - just the kind of reliable data you need to make critical decisions affecting life, health, and safety during emergency situations. A fully-automatic start-up procedure eliminates the need for emergency responders to monitor the instrument. Easy, one-button operation initiates sample analysis.